Arsenal play this year in the Europa League. 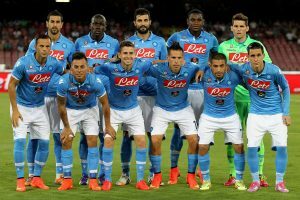 Now they have come to the quarter-finals and come across Naples’ pride Napoli, which was beaten out of the Champions League already in the group stage. Both teams have a long way to it in the horrible title and are therefore investing extra on achieving success in the cup game, where a victory also means playing in the Champions League next season. For Naples part, it is still quite certain that they qualify for the tournament as they are in a second place in the league with 12 points down to fifth placed Atalanta. But Arsenal have tougher in the league and are currently fifth. On the other hand, the battle for the CL-places is a pure goat’s nest with four teams fighting for two places with five points difference between the third and six. In our game tips, we choose to play at the home team winning. We play one at Speedybet at odds of 2.40. Arsenal only have a loss on their 17 latest home games in the UEFA / Europa League. It came against Östersund last season. This is the second straight season since 2008 / 09-2009 / 10 that the team reaches the quarter finals in the European game. Then it was the Champions League, now the Europa League. Last year, CSKA Moscow was knocked out in the quarter before a loss in the seminar against Atlético Madrid. The shape is ok with four wins in the last five. Naples has never won an away match on the British Isles. One has tried eight times, lost seven and played one draw. The question is whether you succeed on Thursday? One has played quarter finals in the UEFA / Europa League on two previous occasions. 2014/15 they went out to the semi-finals, but in 1988/89 they won the tournament with a show Diego Armando Maradona in the team. The shape is not the best, you have two wins, two losses and one draw on the last five. Don’t miss the betting tips we get on selected matches. Best of all, it is completely free to take out our game tips on Arsenal-Napoli, or other games, and you choose completely if you are going to bet or not. If you are interested in game tips on matches other than Arsenal-Napoli then check out our game tips page that you will find in the menu. 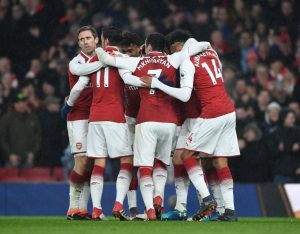 If you are interested in betting on the meeting between Arsenal and Napoli then you can do so with the gaming company Betsafe which gives the highest odds on the favorite Arsenal to the nice odds of 2.40 times the money. Do you still think that Napoli wins with victory in this meeting, even though the gaming companies’ odds makers say differently, then bet on the gaming company NordicBet which gives you the most advantageous odds 3.20 times your bet.